New Britain’s Black Ministerial Alliance will hold a “Community Prayer for Peace” service on Tuesday, July 12th, in response to gun violence and killings of civilians and police officers over the last week in Louisiana, Minnesota and Dallas, Texas. The prayer service will be held at Saint James Baptist Church, 15 Wilcox Street, at 7 p.m. The Alliance is organizing the prayer service that is open to all. The Ministerial Alliance is an alliance of African-American ministers and pastors and ministries from several Christian denominations in the city. The Common Council will hold a public hearing Monday, July 11th at 7 p.m. at City Hall on a Stewart Administration proposal to sell the city’s Patton Brook Well in Southington. The Planning, Zoning and Housing Subcommittee could send the proposed sale to the Wednesday July 13th Council meeting. At issue is whether the city should sell a significant component of New Britain’s water infrastructure or continue to lease the well to Southington. Advocates of retaining the well say that the $1 million sale price seriously undervalues the well and will shortchange New Britain. For background information on the issue go to THE SELLING OF PATTON BROOK WELL at NBPoliticus. New Britain will be represented at the convention by DTC Member Bobby Berriault who was elected at the district level as a delegate for Bernie Sanders. Berriault was an early organizer for the Sanders campaign in the 5th Congressional District. Except for super delegates, the Connecticut delegation is split between supporters of Clinton and Sanders. 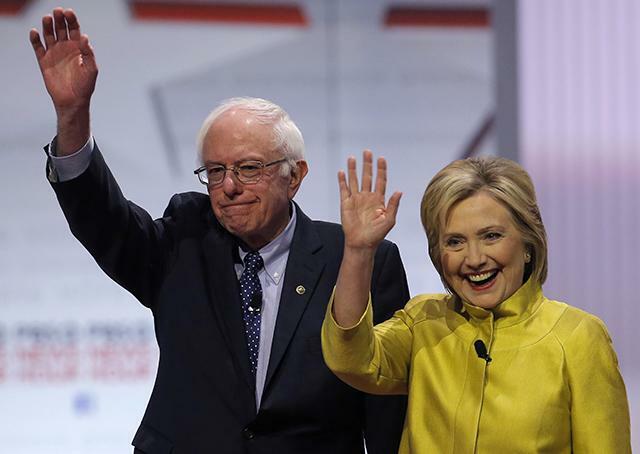 Clinton edged Sanders in the April 26th Presidential Primary. The Democratic Town Committee will meet in July on Thursday, July 21st, at 7 p.m. at New Britain City Hall, 27 West Main Street. New Britain. All Democrats are welcome to attend. On the agenda will be the August 9th Primary for Registrar of Voters and State Senate. This entry was posted in Civil Rights, Gun Violence, Law Enforcement, Meeting/Event, Presidential Politics. Bookmark the permalink.